Cute and casual. Love it! Looove bomber jackets. Classic, but in a casual, jeans and combat boots kind of way (aka my kinda jacket). Thanks for sharing! It's all over in Japanese magazines. Glad it's a thing though. 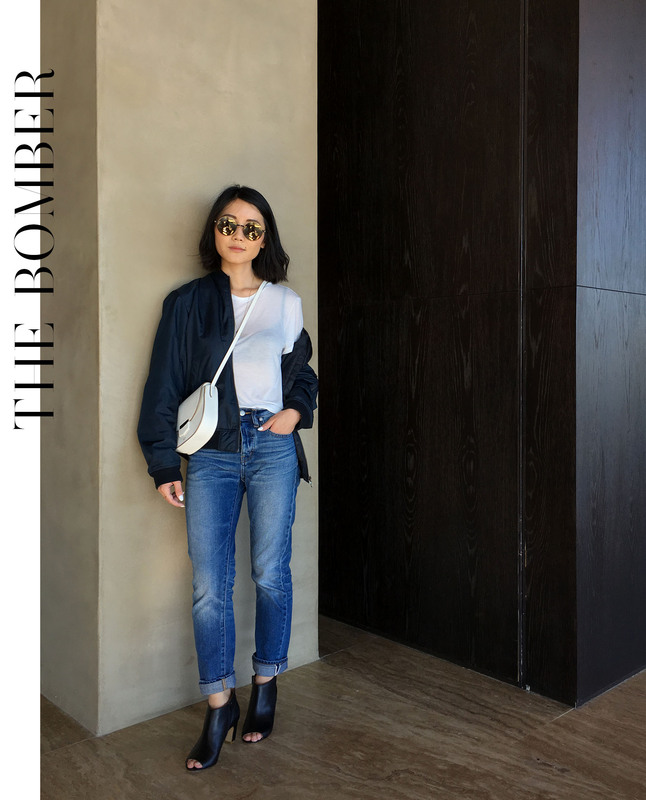 Love the classic bomber! I recently got hooked on this small company out of Washington state (http://www.olgaroad.com) that takes old leather trenches and repurposes them into modern leather jackets. They have a bomber that I loved, even though I went for one without the ribbing. Seems like they're moving on from this venture, so I think when they're gone, they're gone. I have one question.Can we wear this jacket in this season?I saw many girls with jacket without season so it looks out of fashion. Thanks for sharing.